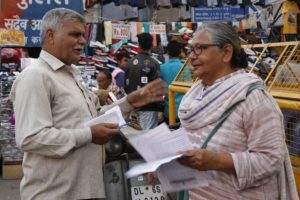 On November 30, farmers from all over the country marched in Delhi to demand a 21 day exclusive session for discussing the country’s agrarian crisis. While the farmers were fuming in anger, the urban educated remained oblivion to the distress, however, the intellectual circuit of the city tried to raise awareness. The situation in which Indian farmers are, is utterly stressful. Agrarian sector is riddled with under-employment. A huge chunk of the population is involved in agriculture, but the contribution to the GDP of this country from farming is meagre. The extreme condition has prompted tragic events of farmers from across the country taking their lives. Last March, the despaired farmers took to the streets of Mumbai to beseech the lawmakers for a concrete solution. This week, the streets of Delhi witnessed a similar demonstration by the farmers. Over 200 farmers’ rights outfits congregated at Ramlila Maidan in central Delhi to march towards the Parliament. Known as Kisan Mukti March, the two day procession that started on November 29, had farmers flocking to the capital in hope for a solution. The procession got support from artists, student bodies, writers, intellectuals, religious organisations and political outfits who clamoured to help the country’s agricultural community for long-denied rights. ‘Artists for Farmers’ is a noble endeavour to that cause. On November 28, they conducted a solidarity march to convey the grievances of the farmers. 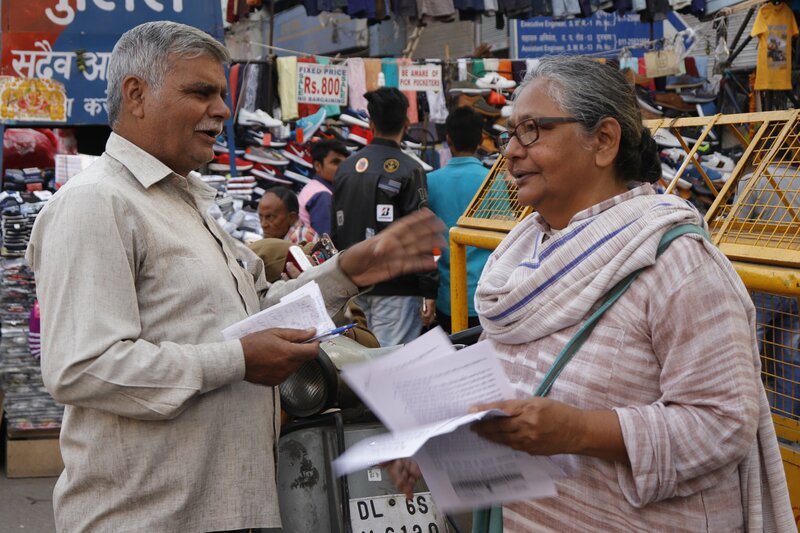 Media India Group spoke to Moloyshree Hashmi, the spokesperson of ‘Artists for Farmers’ and an eminent theatre personality from Jan Natya Manch (a New Delhi-based amateur theatre company) about campaigning for the problems of rural community. “I have been trying to portray the problems of farmers, labourers and working class masses for decades. Yes, we as an urbane circuit don’t share any ties with the farmers except for the food we eat. Still, that does not excuse away the fact that we have a moral responsibility to be the voice of people who don’t have one. And it’s not that we’re completely estranged from farmers. 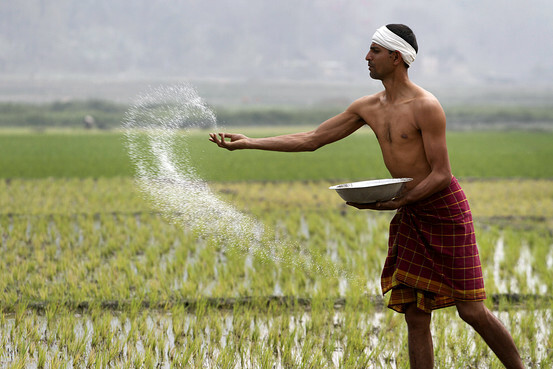 A landless farmer, when he comes to the city to work as daily labour, he becomes prone to all sorts of possible exploitation. So, the crisis of the farmer is much more far-reaching than we think,” she said. A support system strong enough? More than 100,000 farmers from Odisha, Tamil Nadu, West Bengal, Gujarat, Madhya Pradesh, Punjab, and Uttar Pradesh walked with resilience against the ruling government. The March algot the support of farmers from Kerala who were representing the Kerala Farmers Federation. Kerala’s farmers are much well-off compared to the rest of the country. The farmers give the credit to the government’s extensive social welfare system. The paddy, rubber, coffee cultivators receive a substantial amount of subsidy to keep themselves sustained. The writer and other members of civil society present at the event pointed out the reasons that induced the utter lack of empathy for farmers in the urban psyche. Advocate Viswanathan, a lawyer from the Supreme Court revealed the casteist mentality that prevails even in a highly educated white collar community that bars them from forming any kind of solidarity with the rural class of people. Writer Sanjeev Kumar from Janwadi Lekhak Sangh (The People’s Author Association) explained how modern literature has failed to pen the pain faced by our farmers and agrarian workers. “Most of the work consumed by the readers contain materials that they want. Not what they need. You can’t expect to raise awareness when your only agenda is to entertain people. But in Hindi literature you can find examples where a writer beautifully painted a picture of grim reality for the readers. One such example is Phansh by Sanjeev. We have to keep the garb of entertainment but the message of concerning issues should be there,” he said. Former journalist from the Indian Express, Rakesh Tiwari shared his experience and talked about the limitation journalists are facing when writing for subjects that matter. He blames the erratic condition of employment. 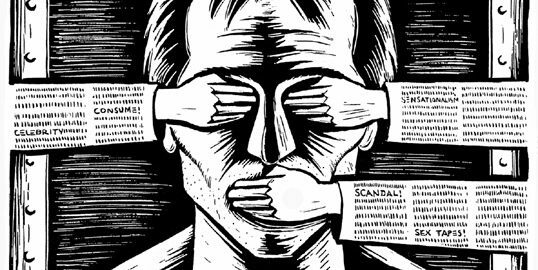 “How can you expect the journalists to brave the rage of establishment when he’s under the executioner’s axe all the time? If media has to survive on glossy click-bait journalism, then there would be no place for sensitive issues like farmers suicide,” he added.